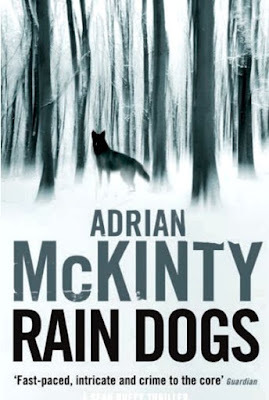 Adrian McKinty returns with a further instalment of his wonderful Sean Duffy series, fast becoming a favourite of crime fiction aficionados worldwide. Now living in Melbourne, Northern Ireland-born McKinty writes tough and hard in balanced and weighty prose. His flair for language is matched by that seriously cool feel for characters who reject conformity. Duffy is a Catholic in a predominantly Protestant constabulary; we first met him in The Cold Cold Ground. He was newly promoted and posted to Carrickfergus CID, “that stinky Proddy hell hole” in Northern Ireland. It was 1981, the height of the Troubles, and he found himself investigating Ireland’s first serial killer. Then, in I Hear the Sirens in the Street a man’s headless, naked torso is found in a suitcase, a different kind of puzzle. In In the Morning I’ll Be Gone, Duffy was thrown out of CID and demoted from detective inspector to the rank of sergeant, having offended some high-ranking FBI agents. But in Gun Street Girl it was 1985 and he copped the murder of a wealthy couple, shot dead while watching TV, and the apparent suicide of their son, who left a note appearing to take responsibility for the deaths. Now in Rain Dogs it’s still the apocalyptic mid-80s in Carrickfergus, 20 policemen have been killed in the line of duty, and the Royal Ulster Constabulary has the highest mortality rate in the Western world. Duffy’s still driving the Beemer and looking underneath it for mercury tilt switch bombs. Much younger Beth, the Prod from a wealthy family, has left him alone in the cold house at Coronation Street, the age difference too great. Then he finds himself embroiled in the possible suicide of journalist Lily Bigelow, who is found dead in the snowy courtyard of Carrickfergus Castle, guarded by a massive spiked cast iron portcullis. It looks like a suicide but there are doubts. If she was murdered, was it by grappling hook, hot air balloon or hang glider? Soon Duffy is involved in something inexplicable — his second locked-room murder case. This is unusual in Ulster during the Troubles he muses, “where murder was never that baroque or complicated”. And just what does a rather ludicrous British comedian called Jimmy Savile, who was made an honorary police sergeant in the Met and who raised a king’s ransom for the Police Benevolent Fund, have to do with the Kinkaid Young Offenders’ Institution in Belfast? How does it relate to the death of the young journalist? 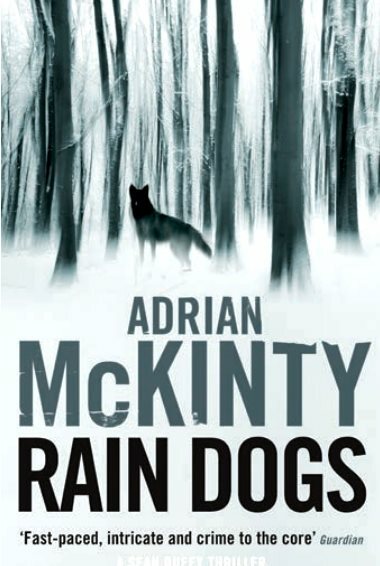 McKinty prefaces his wonderfully lyrical novel with a quotation from Borges: “Humiliation, unhappiness, discord are the ancient food of heroes.” And Duffy has more than his fair share as he tries to find justice for Bigelow as army helicopters sweep the rain-sodden city of Belfast with a sick, white light.